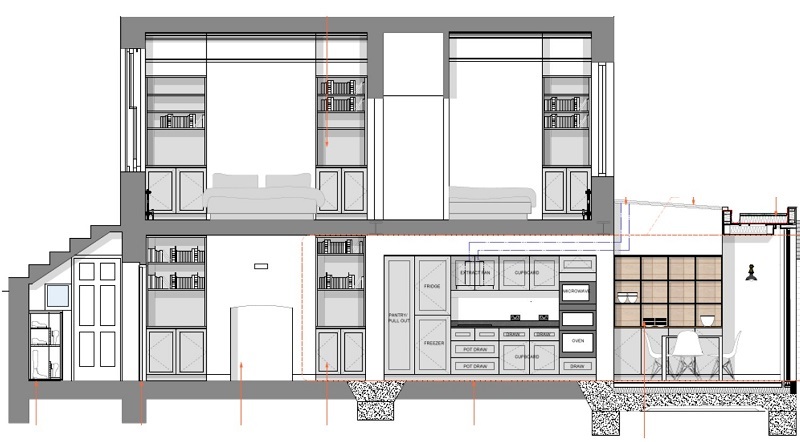 This substantial project will completely transform an Islington townhouse maisonette, with a part-single, part-double storey extension to the rear and extensive internal renovations. Local East London firm, Holland Harvey Architects, invited Get Turner to tender for the project and we are delighted to have been successful. The rest of the work includes: opening up the living, kitchen, dining area; a bespoke kitchen; new bathroom and utility room in the extended areas; waterproofing the semi-basement; installing sliding doors and roof lights to the extension; a large amount of bespoke built-in storage; and external landscaping. The project is expected to start in January 2018 and take approximately six months to complete.